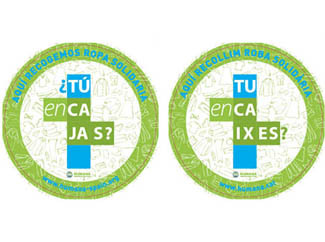 Foundation launch ¿TÚ enCAJAS?, a new campaign to direct participation of local shops and other spaces. The campaign slogan is ' If we put all our boxes, we may no longer ask if they are half-full or half-empty'. With a small gesture, placing a box for collecting used clothing and shoes, you contribute to development cooperation, protection of the environment and creating jobs. By participating in this campaign you become prescriber of an initiative in which the main challenge is to make people feel identified and involved. 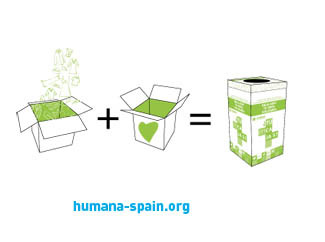 ¿TÚ enCAJAS?, aims to make the public become the custom to donate your used clothing and put it into one of the boxes this season. Already there are several establishments have joined this campaign, as well as other spaces. For example, 4 boxes have been installed in the CP Our Lady of Navahonda, in the outskirts of Madrid Robledo de Chavela.